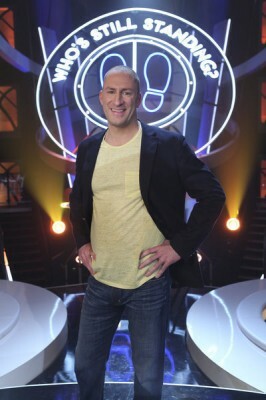 This game show is hosted by Ben Bailey, the two-time Emmy Award winner from Cash Cab. Based on a popular Israeli series called Still Standing, this TV show gives contestants the chance to win up to $1 million while competing in trivia challenges. Those who get their questions wrong are dropped through the floor and out of the competition. At the start of each game, there’s one main competitor and 10 challengers. The main competitor chooses one of the 10 challengers to go head-to-head with him/her in a trivia battle. If one of the two players answers a question incorrectly, he/she is dropped through a trap door and gone from the competition. The trivia rounds of questions continue until one player is left standing. If the main contestant prevails against the other 10 challengers, he or she can win up to $1 million. Spokane therapist Kathyrn Ricketts tries to fend off a circle of challengers and pocket one million dollars. What do you think? Did you like Who’s Still Standing? on NBC? Are you sorry that it was cancelled?